In July of 2003 I had a visit from a friend who was interested in working with my images. We had collaborated on several projects in the past, but he was so moved by the images in "The Garden" that together, we discussed ways to make my work more available to the public. 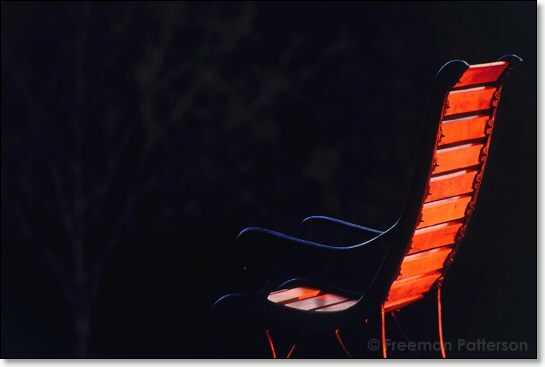 He found the answer sitting in the same chair, at the same time of night, with the same amount of light as the chair in this image. While appreciating the beauty of the moment, he reminded me of the quotation in my book from Thomas Moore, "Original Self": For some people, their garden is Eden. There they find the precious work that ushers them into eternity, where time seems to stand still and work is once again a pleasure. That same friend now publishes my prints.